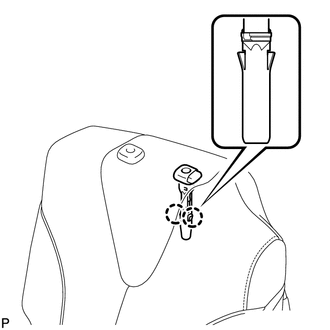 (a) Using a screwdriver wrapped with protective tape, disengage the 3 claws and remove the seat adjuster cover cap LH. 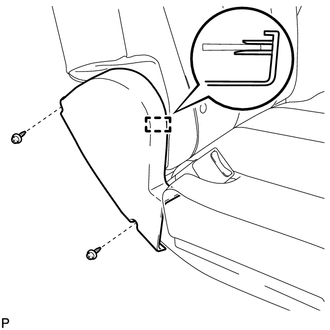 (a) Remove the 3 screws and the rear seat reclining release lever LH. 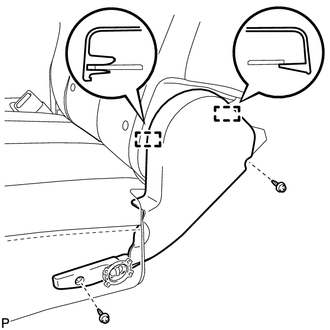 (b) Disengage the 2 guides and remove the rear seat reclining cover LH. 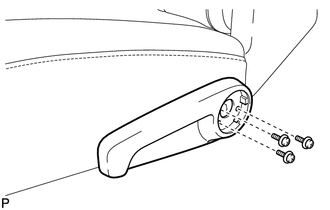 (b) Disengage the guide and remove the rear seat inner reclining cover LH. 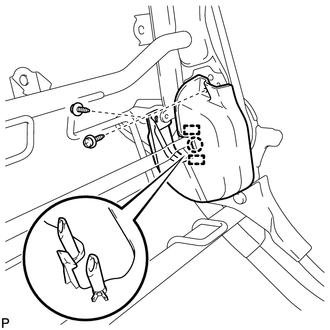 (a) Disengage the 3 hooks. 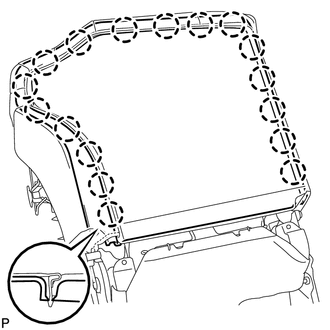 (b) Disengage each hook and remove the rear seat cushion cover with pad. 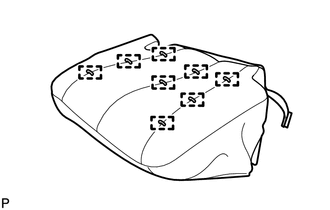 (a) Disengage the 17 claws. 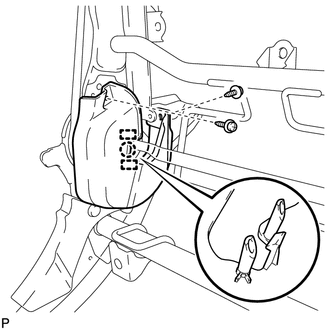 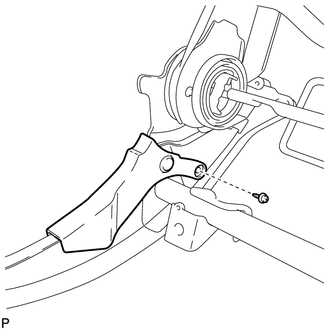 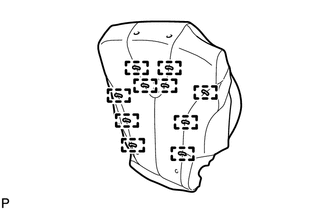 (b) Disengage the 3 clips and 3 guides, and remove the rear seatback board LH as shown in the illustration. 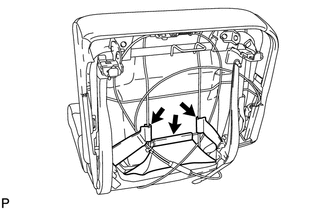 (a) Disengage the 2 hog rings and remove the rear seatback cover with pad. 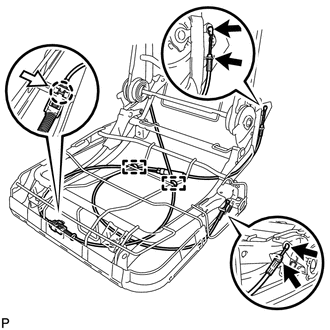 (b) Remove the 2 clamps and the rear seat No. 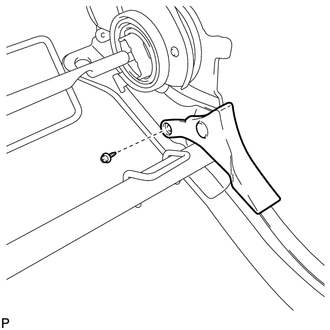 2 reclining control cable sub-assembly. 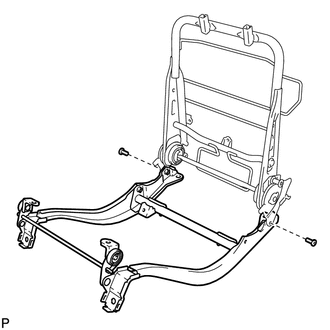 (b) Using a T45 "TORX" socket, remove the 2 "TORX" bolts, 2 bushes and the rear seat cushion frame sub-assembly LH. 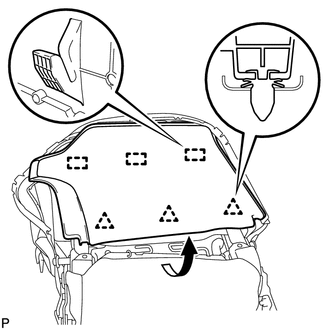 (b) Remove the rear seat leg side cover LH. 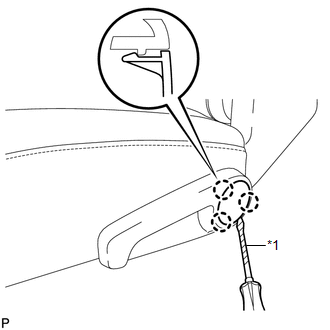 (b) Disengage the claw and 2 guides and remove the reclining adjuster inside cover RH. 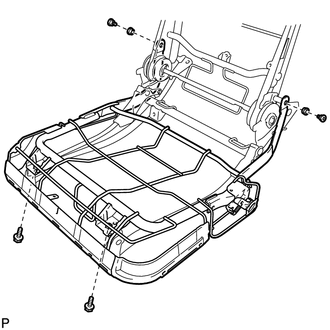 (b) Remove the rear seat leg side cover. 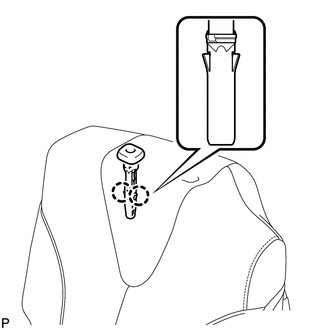 (a) Using a T55 "TORX" socket, remove the 4 "TORX" bolts and the No. 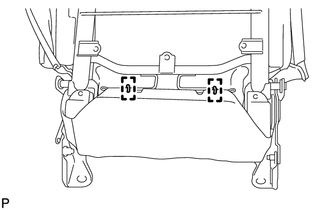 1 seat leg assembly LH.